Friendly meeting place for travellers around the camp fire at night. Had a lovely time here and came back for a second night. 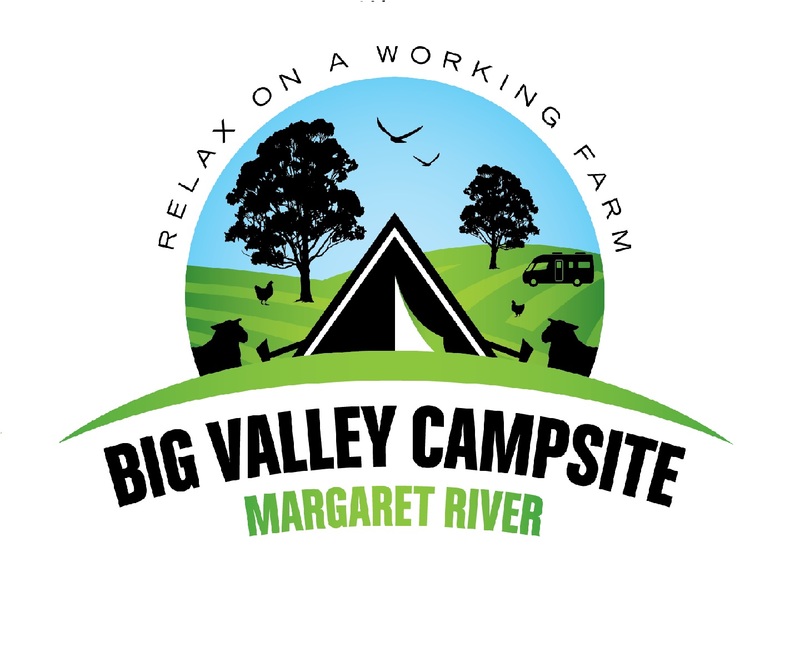 Central to the Margaret River region, this is a great farm-stay feel campsite, with friendly, helpful staff, clean toilets and showers, a well appointed camp kitchen and ample room. A very enjoyable stay and somewhere I look forward to visiting again. Usually we go for beech campsites but we were recommended to go to Big Valley campsite by our friends for a different experience. Big Valley is an amazing place and we visited in August when there were green pastures everywhere. The walkabouts close the site are the most fun. Even the drive to the campsite is extreme fun. Highly recommend. Was only planning on staying one night but stayed for two. Great facilities and great people. Highly recommend. Quiet and peaceful but in the middle of all that Margaret river has to offer. Our 3 kids had a ball riding bikes, feeding the sheep and playing with the Guinea pigs. Hosts were amazing spending time when we first arrived to map out the key activities todo around Margaret river. Fantastic campsite! Friendly hosts, excellent facilities, clean and amazing showers. Just 10 minutes out of Margaret River. Highly recommend this site. CANCELLATION POLICYOne night’s tariff deposit is required on all bookings. A booking cannot be confirmed until a deposit is received and receipted. Long weekend & school holiday periods: Your booking once confirmed with one night’s tariff will require full payment of the period booked one month before arrival. Any refunds will be in accordance with this policy. All Deposits are non-refundable or transferable unless: •	A cancellation with more than 14 days’ notice from the arrival date will result in a one night tariff cancellation fee being charged or can de deferred to another date •	If less than 14 days’ notice given the full tariff will be forfeited Cancellations must be made in writing by email. No refunds on early departures If transferring cancellation bookings to future booking dates the booking date can only be changed once and if second booking cannot be kept the whole deposit will be lost. Any deferred dates must be with 12 months of the original booking date. Arrival time is after 11.00am and departure time is 10.00am.